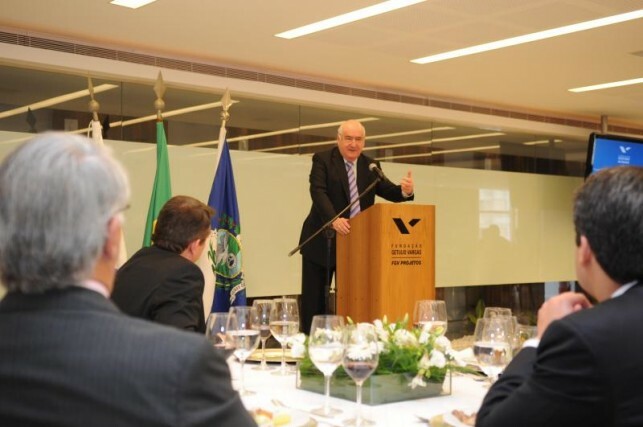 The European Community, Challenges and Prospects was the theme of the luncheon-talk of German political scientist Werner Weidenfeld, founder of the Center for Applied Policy Research (CAP) of the Ludwig-Maximilians University of Munich, held on March 1, at FGV/RJ. The political scientist discussed the context of the global crisis and its continued impact on European countries as well as these nations’ challenges to turn this scenario around. Weidenfeld, who taught at Mainz University and at the Sorbonne, is one of the most important interlocutors and regional-issues mediators between the Foreign Ministry and political parties in Germany. 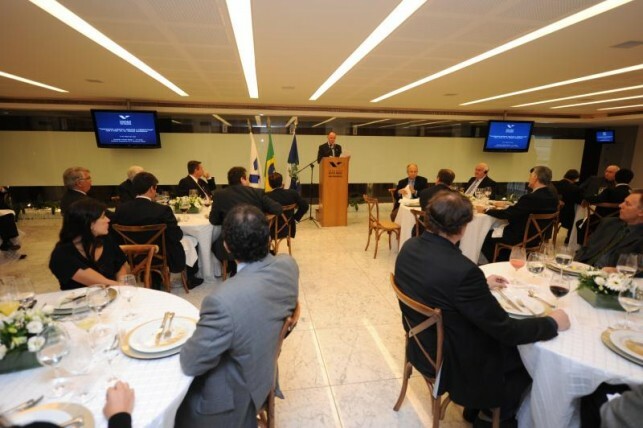 Currently, CAP is the main German research institute on European and international issues. 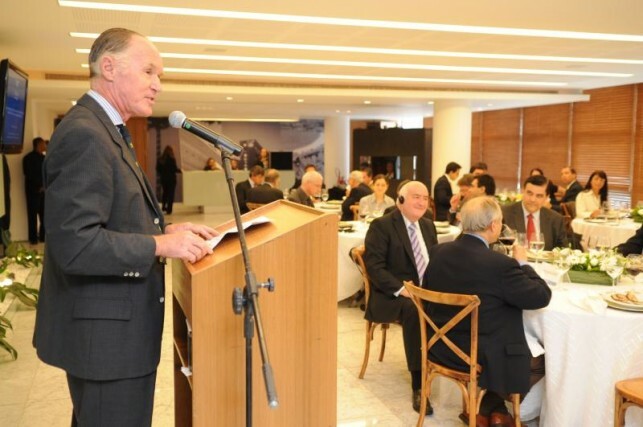 The German Consul General in Brazil, Hermann Erath, the president of Fundação Getulio Vargas, Carlos Ivan Simonsen Leal, and the Executive Director of FGV Projetos, Cesar Cunha Campos attended the event.